How to spy on Sony Xperia XZ2 and Xperia XZ3? Can I download a spy software for Sony Xperia XZ2, Xperia XZ3, Xperia 1, Xperia 10, Xperia 10 Plus? How to spy on your husband, girlfriend, wife, boyfriend or employees’ Sony Xperia smartphone? With Sony Xperia Spy Software, you can do the spying job easily. Follow this article to learn how to track and monitor Facebook, WhatsApp, Message, Calls, GPS, Skype without anyone knowing. The Bottom Line – The Sony Xperia XZ3 is a solid phone, but we prefer the Huawei P20 Pro or the Samsung Galaxy S9. The Good – The Sony Xperia XZ2’s curved design makes it comfortable to hold, and its powerful speakers and cool vibration feature make games and videos feel larger than life. Being able to shoot 960fps slow motion in full HD is useful in the right moments. The fingerprint reader works in the US. The Bad – The Xperia XZ3 has a dated look, despite Sony’s redesign. Software features, such as 3D face scanning, aren’t very useful. The placement of the fingerprint sensor makes it too easy to press the camera lens instead. Sony Xperia XZ3 is the best phone that Sony’s ever made… and it’s better than I expected. The new design is the result of Sony’s chassis-folk finally getting it right, and if that camera can function better in low light then Sony might finally have made a class-leading cameraphone to rival a compact. Sony Xperia XZ3 is practically a little computer with internet access. With that power, it can be many things, a media player, an e-reader, mostly, an internet communicator. Doubt that your husband had an affair with his secretary? Want to prevent your employees from leakageing of your business secrets via Sony Xperia smartphone? Worry about your boyfriend to date two girls at the same time? If your husband, girlfriend, wife, employees, or boyfriend is Xperia XZ2, Xperia XZ3, Xperia 1, Xperia 10 or Xperia 10 Plus user, and plan to spy contact details, calls, web history, GPS, text message, videos, pictures, etc., on Sony Xperia XZ2 /XZ3. Luckily, it is really not difficult to become a FBI agent who’s capable of remotely, silently spy on the Xperia XZ2 or Xperia XZ3. Whatever your reason for wanting to discreetly monitor a Xperia XZ2/XZ3 activity, Sony Xperia monitoring Software is your comprehensive and cost-effective solution. Our Android Smartphone Tracker includes several advanced surveillance features to secretly monitor cell phone activities of your husband, girlfriend, wife, boyfriend, etc., owned mobiles and relay the data to your Sony Xperia XZ2/XZ3 Spy Software user account. The ony Xperia spy app is actually a hybrid of software and service, which allows you to monitor Xperia XZ2 and Xperia Z3 in real time. It is able to keep an eye on what’s going on with the Xperia smartphone, the text messages received and sent from the Xperia mobile, incoming and outgoing calls and numbers, contacts, see every calls/text messages/videos/pictures, chats made by social apps like Facebook, Skype and WhatsApp, real time report of GPS locations… all the data are silently monitored and archived and uploaded to encrypted server which you can access via an internet browser after account and password are confirmed. How to use Xperia spy software? It is very easy to use. 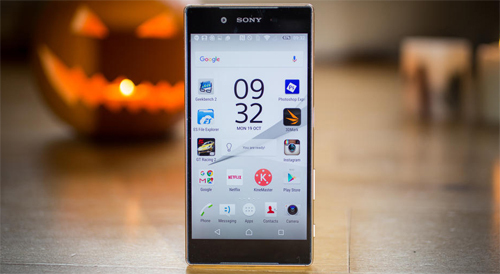 Sony Xperia Spyware is a top-tier mobile monitoring application that can log everything. This is one of the best Sony smartphone spy app ever. I would like to voice my admiration for your kindness in support of those individuals that need help on this one theme. Your very own dedication to passing the message across had become surprisingly important and have always enabled individuals just like me to get to their desired goals. Your important guidelines signifies much to me and much more to my office colleagues. Warm regards; from all of us.